Winter came with a vengeance. parking cars on snow drifted streets. and more bitter it became. and nestling in the drifts. We’re in the middle of a snow storm here and it’s bitter cold. I haven’t seen the majestic owl yet but I hear him sometimes at night. “A soul through yellow eyes”: thank you for the warmth of your beautiful pictures and words. I was just listening to the radio and they were mentioning snow in your area! 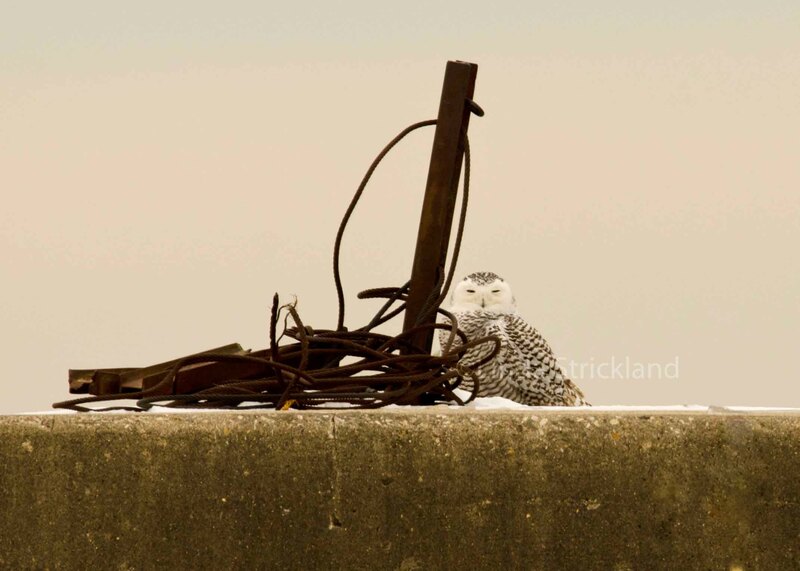 I hope everything will be ok. You have snowy owls at JFK, that I’ve heard of, and probably many more places. They’re all over the U.S., it’s called an irruption, which means they’re in places they’ve never been in before. It’s so exciting to see them! I just love the way this entire poem flows! In particular, the last five lines. I enjoy saying them again and again. It seems to me that you’re just as majestic as this beautiful owl. There are sometimes storms in our hearts. And yet, we breathe, we shake the snow from our wings and we sit there with our eyes open, our heart beating. Our love growing. Fly, bird, fly, I say. Winters come, winters go, but Love, the Love that we are, never ever dies. Thank you John! And I love your beautiful poetic words too. I was just so surprised to see this special little guy, it was such a treat. A day I will never forget. Linda, I love your owl! How ethereal your words and pictures are – lovely. thank you so much Wendy. It was truly an experience of a lifetime. Thank you djmrakiey! It was an awesome adventure to see this owl, and I felt very blessed. 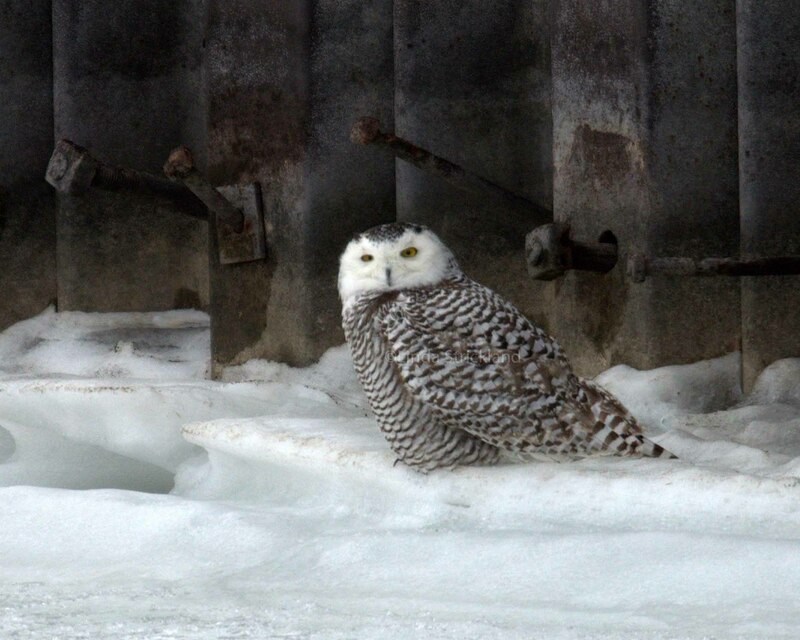 Aren’t the snowy owls gorgeous? Nice shots! Thank you Mitch. Yes, I was thrilled to see both male and female. And I was alone with them both times I got these shots, which was really special. Certainly was a thrill, though!